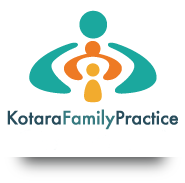 At Kotara Family Practice we believe in treating you well and keeping you well so that you feel cared for and cared about. We believe that health care is not just about helping you when you are sick, but also about keeping you healthy for as long as possible. It's about journeying with you through all aspects of life, it's about working together as a team, it's about treating you with respect and understanding and making a difference to your health. Our team of doctors, nurses and administration staff are committed to managing your health needs in the best possible way but we are also dedicated to preventative health – reducing your risk of illness and disease so that you can stay healthy for longer. Health care is a lifelong journey and one that our team is passionate about... we would be privileged to take that journey with you. If you want to feel cared FOR and cared ABOUT when you visit the doctor call us for an appointment on 4956 0888. Feel free to browse through our website for more information and LIKE US on Facebook to keep up-to-date with news and health information. Stay Informed - LIKE US on Facebook! We have an active Facebook presence to keep you up-to-date on health information and practice news.